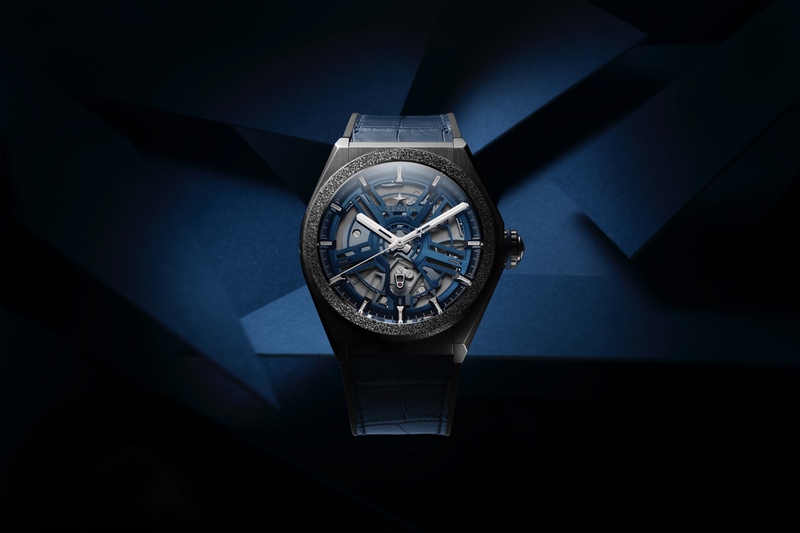 Girard-Perregaux showed off a new concept watch at SIHH 2019, earlier this month, which features a brand new material that integrates pigmented glass fibers, in this instance, blue fibers, with forged carbon. The result is a material that is both vibrant (like colored glass), and many times stronger than stainless steel. 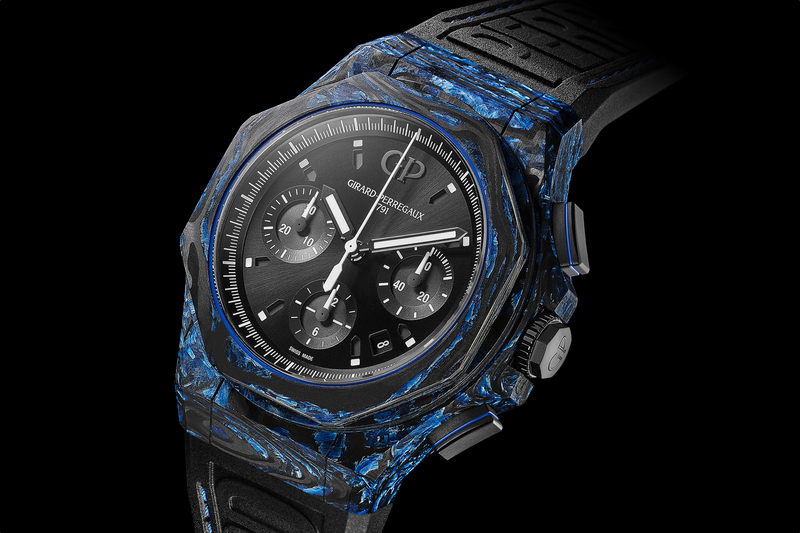 As the name suggests, the Carbon Glass Laureato Absolute Chronograph Concept is only at the conceptual design stage right now, although there’s a chance it could be in production as early as next year. 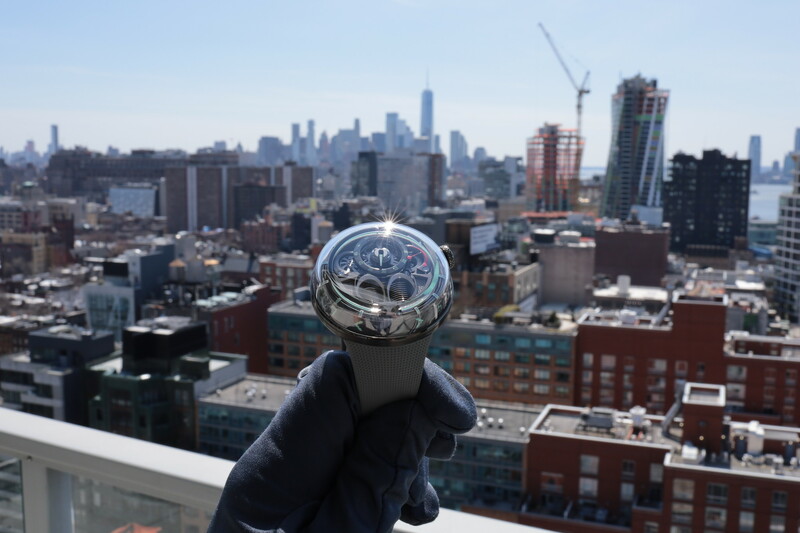 The new Carbon Glass material is impermeable, highly resistant to scratching, and very lightweight. The manufacturing process requires high-temperature injection at extreme compression. The result is a unique material that has its own character, like forged carbon. However, unlike most forged carbon materials, this process creates a very high density, and therefore, a level of airtightness that does not require an additional container. Additionally, the exterior is incredibly smooth. 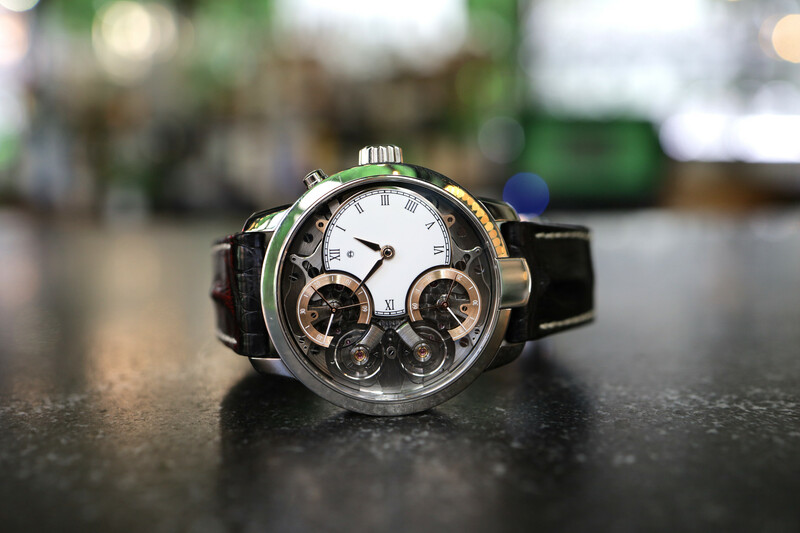 Blue glass fiber is used for the concept watch, although other colors and even gold can be substituted.